The Crew Shirt may be new to you, but it's no stranger to hard work. Field-tested for durability and comfort, it's already been proven to have everything it takes to get the job DONE RIGHT. The body is dark grey to help hide stains, the straight hem can be worn tucked in or out, and our new ripstop fabric is industrial laundry friendly. Fabric: 4.25 oz. Ripstop. 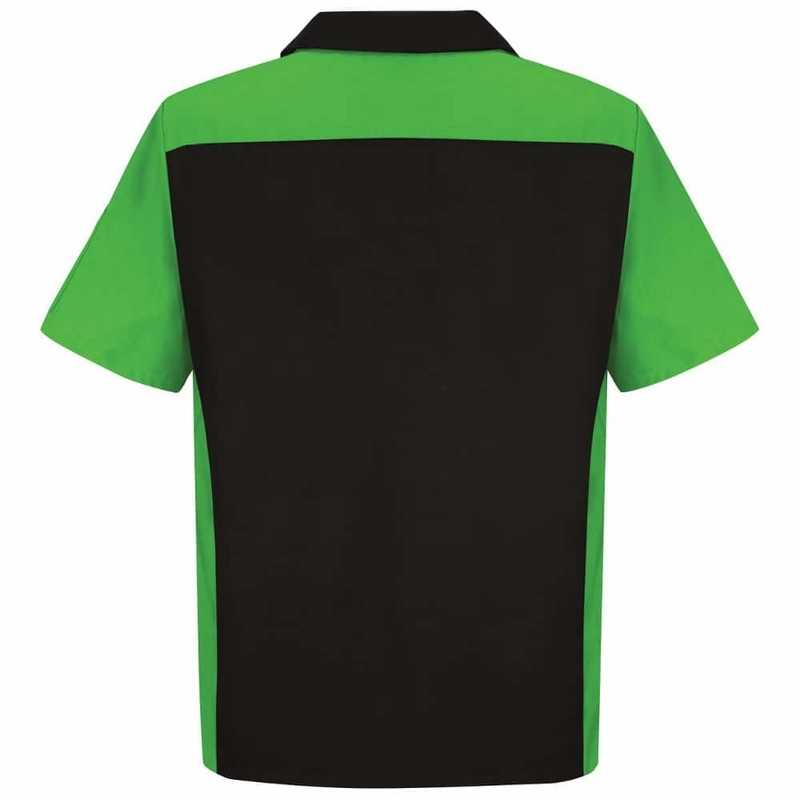 Blend: 65% Polyester / 35% Cotton. Care: Home Wash or Industrial Laundry. 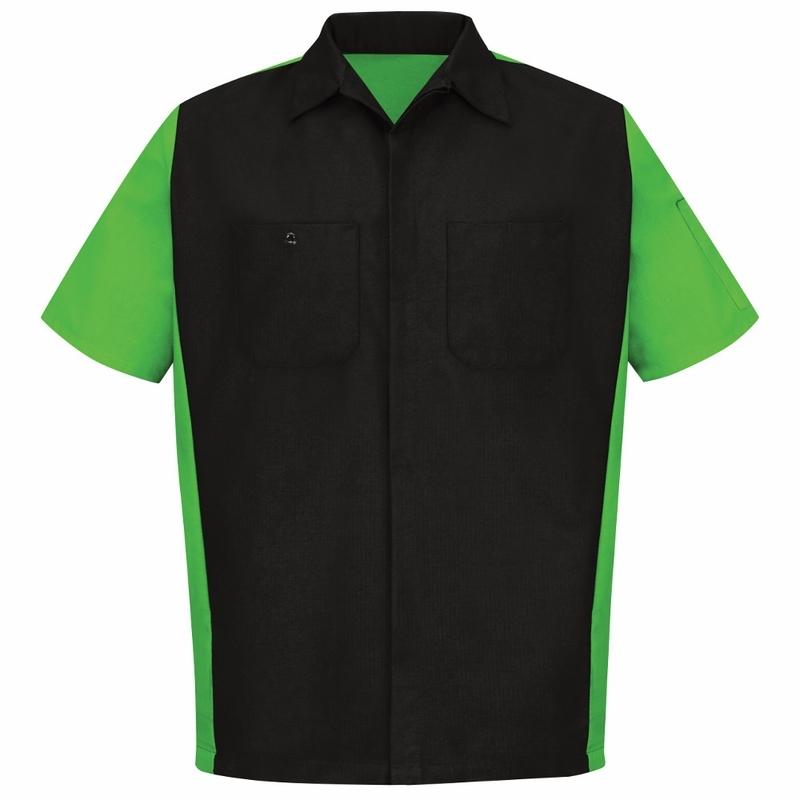 Closure: No-scratch, concealed, button-front placket. Collar: Convertible collar with sewn-in stays. Color: Charcoal / Royal contrast or Charcoal / Lt. Grey contrast. Finish: Soil release, Moisture wicking, Color retention. 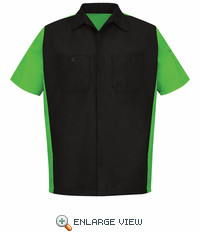 Pocket: Button-through right chest pocket. Left chest pocket with double pencil stall. Utility pocket on left sleeve for smaller objects.